In many B2B scenarios, direct mail tends to be far more effective as a marketing method than email. Pharmaceutical businesses reaching out to healthcare professionals, for instance, need to include reference material that’s easy to access. Office supply businesses and printing businesses do better with direct mail, too. They get to show potential customers exactly how good they are in the stationery and printing business by communicating in print. Catalogs work very well in the B2B space, as well. Compared to emails, they are much more easily shared in meetings. Here are tips that can help you plan a B2B direct mailing campaign. While poorly directed marketing materials are a bad idea for consumer businesses, they are completely unacceptable in the B2B space. If you sell maintenance services, you need to specialize in the very equipment the business uses. If you sell business insurance, you need to only include information about the specific kind of insurance services the business is likely to need, and no other. Email marketers go so far in their attempt at relevance that they schedule their delivery times when they believe recipients at businesses everywhere will be at their most open to their communications. Direct mail cannot afford to be left behind. Delivering mailers on exactly the right days of the week and the right times is vital. The more ways you have of connecting with your business customers, the more effective your message will be. From magazine spots to cost-per-click advertising and from email marketing to telemarketing, it’s important to place your message before your target audience in multiple ways to make sure that you reach them. Direct mail is an important additional way to take up. Since most business owners are over the age of 30, they tend to be most comfortable with conventional, printed marketing materials, having grown up with them. When you want to reach them, direct mail is likely to be far more effective than electronic methods. It’s important, then, to think your direct mailing material through. Since your target audience will depend on your mailers more than any other source to make a decision about your business, you will need to make them as informative and attractive as possible. In the B2B area, direct mail tends to be somewhat underused. Businesses that do use it often simply employ it in the lead generation stage, abandoning it in favor of electronic methods later on. Businesses that learn to use direct mail throughout the marketing process, then, easily stand out. Direct mail can be so effective in B2B scenarios that businesses often manage stellar results even when all they have is a tiny budget. Use of a bold Johnson Box, complete with distinctly relevant and personalized information, immediately engages the reader. Frank Johnson, creator of the Johnson Box, died on March 8, 2001 at the ripe old age of 88. He had been a strategic direct mail copywriter and was one of the first to take marketing to new heights within the direct mail industry by anticipating and boosting the response of the letters he was writing. He accomplished this by placing key information at the top of letters with the intention of quickly taking control of a reader’s attention. Imaginably, Frank Johnson may have happened upon this inspired concept from reading newspaper headlines which had been capturing the attention of readers with intensely exciting headlines compelling them to turn the page and read on. Regardless of the impetus for Johnson’s inspiration, the concept worked and the Johnson Box has since been a mainstay for marketers from local fund-raisers to Madison Avenue and everywhere in between. This is one strategic design tip you can begin using right away with direct mail. Determine the main benefit of your offer for the target audience and position it in the Johnson Box. Also include contact information such as your phone number or your URL so readers can act on this information immediately. Do not be afraid to think outside of the box and allow creativity to thrive. Substitute asymmetrical shapes, circles, or simply enlarged plain text with no box at all to serve the purpose of the Johnson Box. The main point is to highlight and personalize what you are offering. However you choose to utilize the Johnson Box concept, make a Johnson Box appropriate for the particular letter and unique package objectives. One size does not necessarily fit all. Research, document, test, and perfect your messaging with the help of a professional direct mail company. Test different Johnson Box ideas with the same letter and artwork as well as with different designs. Although marketing is arguably more of an art than a science, even if the response rate increases only marginally, it could mean much more in the lifetime value of a customer and in your ROI. As with all of the other tools available to savvy marketers and business owners, a Johnson Box is one of the easiest ways to cause direct marketing response rates to upsurge. Who are people and what on earth motivates them to act now? The combination of training, experience, temperament, background, involvement, and matters of, relating to, or involving a combination of social and economic factors will impact people’s behavior whether they work alone or as part of a family or team. Once marketers have won the battle for attention, they must then identify a problem in need of a solution. Then, having taken advantage of an opportunity to position their product, service, or organization as the most preferable solution, marketers must prove their worth with credible performance and follow up with an invitation to act. Direct mail is the most effective method of packaging all five of these crucial motivating steps sequentially into one cohesive piece of tangible messaging and the Johnson Box concept has proven to be an extremely effective tool in getting marketers to first base. In the modern business world, most marketers already understand the importance of direct mail marketing, and person-to-person communication. Unfortunately, they still neglect some time tested techniques to ensure positive results. 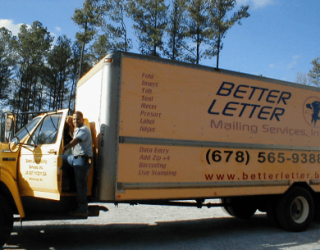 A professional direct mail company in Tucker Georgia focuses on every aspect to make sure you receive a better return on your investment. A professional direct mail company understands that the letter is the most important element in the package. The results have been derived from numerous tests regarding letter-based mailings and different kinds of packages. Packages with letters are always more likely to give better results. The classic mail package with the outer envelope, enclosure, reply card and letter has known to be quite effective. According to experts, the letter introduces the subject, explains the benefits and asks for a desired action. The encloSure completely supports the letter, and further explains the service or product in detail. The reply card makes it easier for the person to respond. According to industry experts, a two page letter always tends to outperform a single page letter. The primary reason is that a longer letter provides the reader with more information. However, you need to focus on the content of your letter. It’s important to tell your whole story to the recipient. You need to keep the content concise and straightforward. It should not seem dull or boring. Are Envelopes or Teaser Copies Helpful? It’s worth mentioning that envelopes and teaser copies are quite effective to get the mail opened. It’s important to understand that you just have a few seconds to grab the recipient’s attention. In case the envelope is blank, there’s no compelling reason to open the package. An exception to this rule is your established customers. When you already have a strong relationship with the recipient, you can expect the package to be opened without any hurdles. Plain Envelope or Window Envelope? A direct mail company in Tucker Georgia will also help you decide between a plain envelope or window envelope. There’s a common misconception that a window envelope can make your package look similar to a check or an invoice. However, your choice will just depend on your preferences. It’s worth mentioning that windows envelopes are more expensive than plain envelopes. The cost isn’t always justified. If you’re a small business that regularly needs to test new markets for the best promotional approaches possible, direct mail is one of the best tools available: it allows quick product promotion campaigns on a tiny budget. You get fast results whose accuracy you can be certain of. Even if you can afford a network television marketing campaign, it is usually a better idea to start out with a well-targeted direct marketing campaign, instead. You need lots of dependable information on each market before you attempt to raise the stakes, after all. Here is how direct mail helps. When a business has a competent marketing company to depend on, a direct mail marketing campaign can go from conception to delivery in just a couple of days. These campaigns tend to be so cheap, much financial preparation is usually not necessary. You can begin to see results by the end of the week. Print and television marketing can take much longer to prepare. Not only do these campaigns require more effort, most good newspapers, magazines and televisions channels tend to be booked up weeks in advance. Your campaign can’t get off the ground until you get a spot. It can be a challenge to zero in on the right approach to use for your target audience in any marketing campaign. Often, you need to try multiple messages and formats until you find a formula that works. With conventional marketing, such splits tests can be prohibitively expensive. With direct mail marketing, though, all it takes to find something that strikes a chord are several inexpensive, limited-run campaigns with a few hundred pieces each time. Since direct mail marketing campaigns target limited numbers of consumers, it can be easy at the end of each campaign to measure the effects. You know how many pieces of mail you sent out and how many responses you get back. The availability of such precise data can make for a better informed marketing approach. Direct mail marketing is far more efficient than email marketing or even marketing over print or television: you get to precisely target just the consumers who are most likely to convert. Small, precisely targeted campaigns tend to be inexpensive and easy to keep under control. Keeping campaigns under control is important because there is such a thing as a campaign that is too successful. Many small businesses that try marketing through email, popular newspapers or television channels end up surprised at the avalanche of responses they get. Many of them tend to be irrelevant: ones from people who completely misunderstand the nature of the product or service offered. When serious buyers call, they tend to get lost in the crowd and to leave, having been ignored. It can make far more sense to run a tight campaign with direct mail. For marketers who like precision in their efforts, direct mail marketing is the perfect tool. Research and testing are both important when you’re trying to get a direct mail campaign to perform. The two terms aren’t interchangeable. You perform marketing research to predict how different ideas will work if you decide to try them out. You perform testing to analyze the results of campaigns already completed. Only midsize and large businesses usually have the budget to put into these techniques. Very small businesses that don’t have the budget usually need new angles to help bring some precision to their direct mail marketing plans. They can’t afford to have their postcards and packages go to waste as they tweak their ideas and spend time analyzing where each approach goes wrong. A few ideas for such angles can help. Research and testing for your direct mail marketing ideas does not necessarily need to happen right in your office through the study of marketing data. It would be much cheaper to create mockups of your direct mail packages/postcards/brochures and directly take them to places where your customers are usually to be found. You could go to a local mall, multiplex, concert hall or sporting arena; if you target business customers, you could head to a business conference or expo. When you directly approach your target audience, you can show them both your product and your direct mail mockups to get their reactions. You will know right away if they seem to love them or hate them. You will also be test your mailing list out this way. If your mailing list has the right target audience, you’ll know see proof of it, too. Direct mail marketing research is no different from product research. Just as you would never think of manufacturing and marketing a product that you never tested with actual consumers, you shouldn’t invest in and send out direct mail without some actual face time with your audience. Going to real consumers is far better than even a focus group study. It’s real. It makes more sense to ask an open question; something like, “How do you like the way I’m building my brand?” can bring you more usable information. Rather than handing out a questionnaire that’s full of boring questions, simply asking respondents to write out two lines of their own can bring out meaningful answers, too. Given the freedom to say what they want, consumers are often much happier to respond. Marketing researchers often recommend that campaigns center around showing consumers how a product solves a problem they have. If you have a product that solves a problem, your direct mail campaign should do a good job showing consumers how exactly it achieves that. The more face-to-face contact you get with your consumers, the more opportunity you will have to find out for yourself if the content of your mailers brings the message home to them that their problems are about to be solved. It’s the best kind of marketing research possible. When people on your mailing list receive your mailer, they need to stop what they’re doing to see what it’s about. You need to make it worth their while to be interrupted in this way. Everything about your mailer needs to look legitimate, honest and pleasing. Unfortunately, a great deal of direct mail completely gets it wrong on all three counts. If you’re planning a campaign, appreciation of these mistakes can be a quick way to set your mailers apart from the majority of what your audience receives. Direct mail marketing that tries to snag your attention with loud words like Urgent, Time sensitive information inside, You’ve been hand-selected for this offer and Free shopping worth $5,000 tends to be seen by consumers as completely worn out today. People realize that offers that go out to hundreds of people cannot be all that special. These types of hook lines clearly mark a direct mail as junk. Since most people know that sensationalist hook lines never amount to much, honest, humble, brief, consistent and transparent messages are the only way to make a point now. You need to offer usable information that will help consumers see that you have something special to offer. It is especially important to drop every word from your vocabulary that is likely to put a consumer on alert for cheap tricks. Terms such as Free, Save, Special, $$$ and the use of excessive punctuation do not work. A large bulk of direct mail ends up in the trash simply because the envelopes that they are sent in do not offer information about their contents. They are plain envelopes printed with nothing other than the name of the sender and his company’s name. Businesses that aren’t already very popular with their target audience are unlikely to get far with these envelopes. It’s important to research your audience and find out exactly what you can say on your envelopes to appeal to them. There is no other way for them to know that opening an envelope from you is likely to be worthwhile. Cheap infomercials have a common angle to getting your attention: they put their Save 50% today messages and Money-back guarantee, no questions asked messages front and center. Sometimes, you even see these messages before you hear about the product. It’s as if their money-back guarantee is the core benefit to dealing with them. While savings and guarantees are important trust builders, stressing on these ideas only makes people think that your product is so bad that you’re afraid to even talk about it before you offer savings and guarantees. A winning direct mail focuses tightly on the needs of the consumer and the way the product meets them better than anything else. Many direct mail letters work so hard to tell consumers about how attractive their special pricing is that they neglect to make it clear what the consumer needs to do to actually buy. While they set out the benefits and savings in attractive print, the buying area is in small, black ink, and in a part of the mailer that doesn’t draw attention. In a sensible direct mailer, the call to action is where the customer would naturally expect it to be. It is double-checked for intuitive placement, right next to the value proposition. Finally, you should never make the mistake of looking like a spammer: you should never overlook the necessity of an opt-out. Professional mailers always give consumers the right to ask to not be bothered with mail. A prominent opt-out option makes you look legitimate like nothing else can. 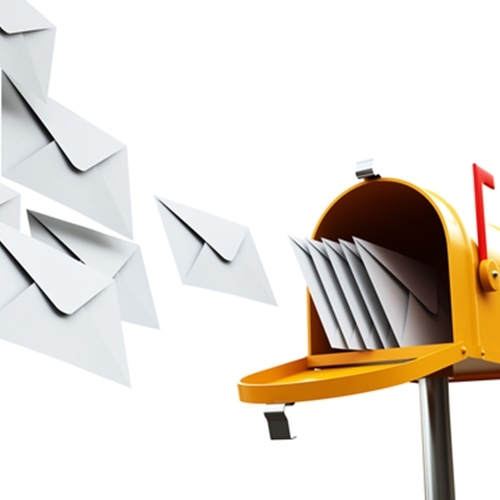 Has Online Marketing Killed Off Direct Mail? With the rise in popularity of online marketing channels, such as email and internet advertising, it may be time to ask whether there is still a place for direct mail in your marketing toolkit. 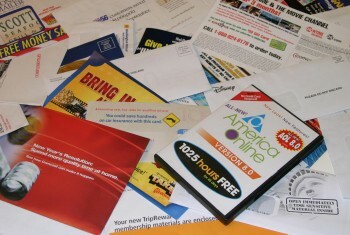 Do consumers view direct mail as old fashioned and crave new online options or is direct mail still alive and kicking? The simple answer is that direct mail still delivers results. The effectiveness of direct mail explains why it remains a key part of the marketing strategy for most small businesses. In a study conducted for Pitney Bowes in 2011, 76% of small businesses agreed that ideal marketing mix included both physical and digital communications. In 2012, U.S. businesses spent $93.6 billion on traditional offline forms of marketing, including direct mail, compared to $62 billion on digital marketing. These figures were generated in a study conducted by Professor John Deighton or Harvard University and Professor Peter Johnson of Columbia University. Businesses continue to invest in direct mail because it generates a response from their customers. The U.S. Postal Service has been conducting a multi-year study since 1987. The Household Diary Study examines the use of the mail service by American households. According to the USPS study, households take action in response to one in ten pieces of direct mail. In a European study, undertaken by the Direct Marketing Association (DMA) in 2013, 79% of the consumers questioned indicated that they would respond to direct mail immediately, compared to only 45% who would respond to email marketing straight away. In a study conducted by Robert G. Magee of Virginia Tech, published in March 2013, consumers had greater recall of information read in printed format rather than online. While 82% of respondents recalled receiving a printed version of the material distributed, only 49% had any recollection of receiving the email inviting them to view it online. The studies quoted above, conducted over the last few years, reveal that direct mail is still alive and well. It remains an important channel for the majority of businesses and their customers. In a world where consumers are bombarded by marketing, direct mail continues to stand out. It arrives at customers’ homes and elicits an immediate response that email and online channels cannot match. Provided it forms part of a well thought out marketing strategy, direct mail can be a valuable investment for small businesses.